There was a time when mixing bowls and other kitchen tools were heard, but not seen - - stored in a dark closet after the day's work was done. But not today, kitchen tools are now, not only functional, they're fun, funky and being displayed in ways that are adding style and pizazz to kitchen countertops. Color your kitchen with these mixing bowls by Zak Design. These are not your grandmother's mixing bowls. They're still used for mixing your favorite cake batter and serving your favorite dish; but they are better designed. These bowls fuse stainless steel and melamine in one product, resistance to temparature transfer, dishwasher safe and features a non-skid bottom. Zak Designs is partnering with National Breast Cancer Foundation and will donate a portion of the proceeds of this line to the NBCF. Great cooking is a combination of fun, quality, style and convenience and these well-designed items, in the pink color, proves that products for a worthy cause don't need to be dull. 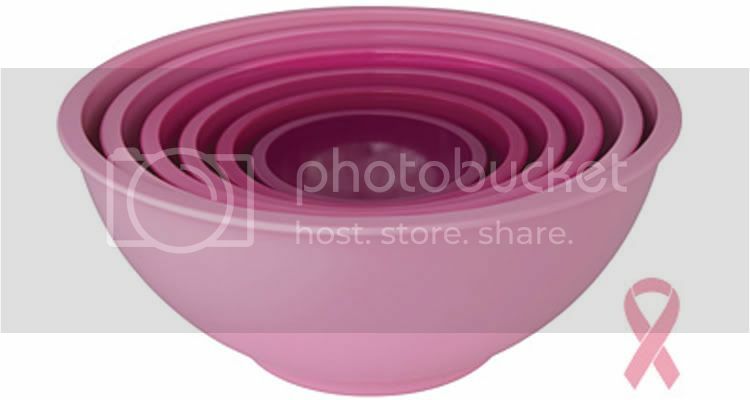 (Items featured: Zak 6pc pink mixing bowl set,$59.99; Zak 5qt. bowl melamine fused w/ stainless steel, $29.99; Zak soda fountain tumbler, $4.99; Zak large colander,$12.99. All available at LaPrima Shops). oooo I love the soda fountain tumblers, ok really, I love everything! Thanks Natasha! You're up early! 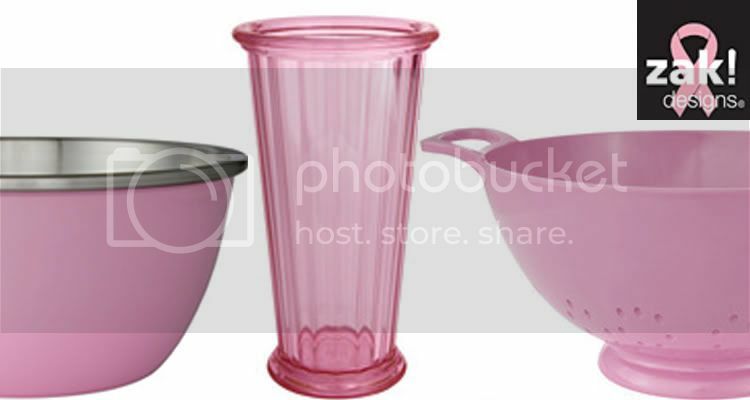 I knew you would love the "pink", the tumblers are great and at a good price point ($4.99). Also, check out the ice cream bowls, I know how you are about your sweets and you'd really like them. Shopping + Supporting a cause, what could be better? You know me well :) Pink cottage how wonderful is that! I had a stack of magazines when I was at borders and decided to leave martha on the newstand. I'd love to see the pink cottage.